YouTube, Flickr in Blogger Beta. ~ The Blog Doctor. You are here: Home > YouTube > YouTube, Flickr in Blogger Beta. YouTube, Flickr in Blogger Beta. YouTube is a free video hosting and online video streaming service that allows users to view and share videos that have been uploaded by the members. Membership is free but there is a ten minute length limit on the video length. You cannot download the videos but you can view them in your browser. You can embed these videos in your blog. To see the videos the viewer has to be logged into YouTube and be part of the list the video is shared with (Friends or family). If they are not, the video will display "Loading," but the video will not load. First Register and become a member and then upload your video. Then click on 'Post Video' link below each video. In popup window Click on click here link to add your blog. Then click on “Add a New Blog” link. Enter your blog account Username and Password and click "Add Blog". A list of your blogs will come up of which choose the one you want to add it to. Next add the Title and the text to accompany the video and click Post to blog. <object width="425"height="350"><param name="movie" value="http://www.youtube.com/v/OdT9z-JjtJk&autoplay=1"></param><embed src="http://www.youtube.com/v/OdT9z-JjtJk&autoplay=1" type="application/x-shockwave-flash" width="425"
PUT YOUTUBE VIDEOS IN SIDEBAR USING RSS FEEDS. You can put Youtube videos in sidebar using their RSS feeds from here. Choose which videos you would like to put in the sidebar then right click the red RSS button next to it and click on Copy Link Location. 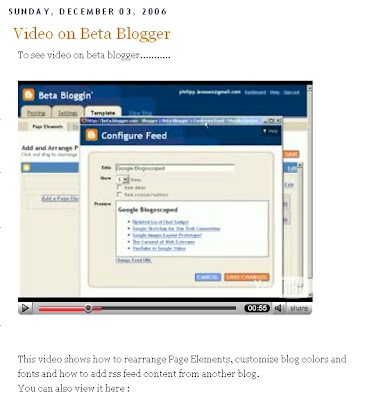 Login to dashboard of Beta blogger and go to Layouts link of the blog you wish to add the videos to. Then click on Add Page Element in the sidebar and choose Feed. Paste the Feed url from Youtube and clck on save. Your sidebar will show the number of videos which you have chosen. See my Left column at the bottom where I have added the top three youtube videos. You can also create a Youtube Badge which will show images of your six most recently uploaded videos. See how to here. On YouTube Video Page click 'Share' button below the video on left hand corner of the bottom frame. Choose 'Blogger' and put in your login information. Now when you click Share you will get the option to add video directly to your blog. Now the video will play on publishing. Flickr also has a similar method to post their images on your blog. Flickr is a photo sharing and hosting website enabling you to share photos with your friends and also put them in your blog. Go to Flickr.com and register to get a new account. Then click Upload photos to go to Upload window. Clickon Browse to locate the photos on your disk and then click open. Choose options to make them Public or Private and put tags on them and then click on Upload. 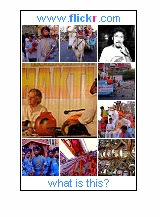 Tags are words used to categorize and describe photos. After your photos are uploaded click on save after adding Title and description. Click on the photo to open it and click on Blog This link on top of the photo. You will be asked to configure a blog to post to. Click that link. Choose your blogging application Blogger/Beta Blogger. If beta Blogger Flickr will ask to have access to your beta account. Click the Head over to Google link. Click on Grant Access. Put in your Username and Password and then go through remaining steps to post the photo to your blog. The method descibed above is for beta blogger now called the new blogger and it works. The youtube code modification trick worked with me. Thanks a lot. What code do I type in, and where, to get the flickr photo thumbnails on the side of my blog page? Just use the Blog This link at Flickr as explained in above post. There is no code to copy. For more help my email address is in middle column. i happen not to see any red RSS button next to the videos on youtube recently. do you know what happen with it? and how can we put the videos on the sidebar if the button is no longer there? 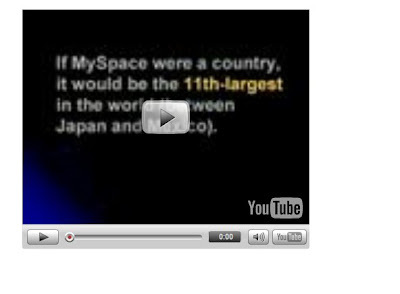 Perhaps they are videos which they do not wish to share. Have you inquired at YouTube Help and forums? i tried several different videos (ranging from a top video clip to an obscure one), but the button was nowhere to be found. well normally, after we find the video we want, we then click on it to watch the video, right? where is the button supposed to be? i could only see options such as favorites, add to playlist, and flag. thanks for the help. If they provide the 'EMBED' code you can paste it in a Html Page element. I can upload the youtube videos but when I do that the comments section disappear when I post. Why is this happening? Can you give the link of a post where the comments section is not there after adding a video? Also give the link of a post without the video and having the comments section. Oh, I got it! Have no idea how I did it, I'm new at blogging. Thank's anyway Vin and may I say this site is very helpfull! Paste the code they give you in Edit Html tab of Post Editor. I seem to have the same problem as "Music Food and Love". When I use youtube embed code sometimes the comment field just disappear. However, if I change in the post so that the embed code is in the bottom, after all the other text, the comment-field will appear as normal. Also, after posting a few other posts the comment field sometimes appear again when the post with the embed code is not among the most recent posts. BTW I do not see the comment field in your post without the video!! I have tried to add my favourite youtube videos to the video sidebar. The channel option doesn't work as do not have any uploaded videos. I only want to show my favourites. Embedding the videos in a html page element doesn't work. Can you help me? Paste Youtube Playlist code in a Html gadget in sidebar. You may have to increase width of sidebar. Have a look at my site, I managed to post an .rm 4.2 mb video 2 days ago but I cannot post another one just 4mb today? I amanged to post on my blog a 4.2mb of real Player video (.rm), today I cannot post another one that is just 4 mb! weird or what? What is link of that post? What error message did you get? Did you upload video from your PC? I keep getting an error pop up after posting it. That is the link of a video. It is not the EMBED code. What is the exact error you are getting?